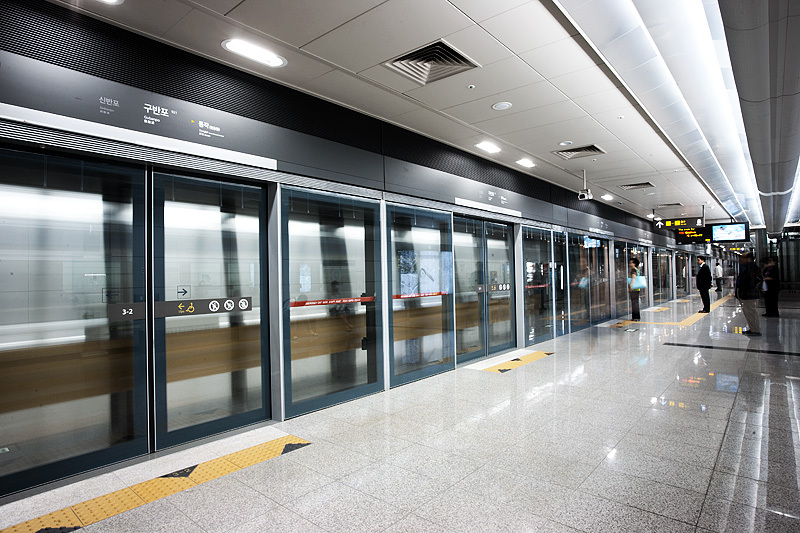 The Seoul subway at Gubanpo station on the number 9 line. As you read this, I'll have already arrived in New Delhi, India after my 3 month respite in Korea to recharge and inject as much meat into my veins as possible. 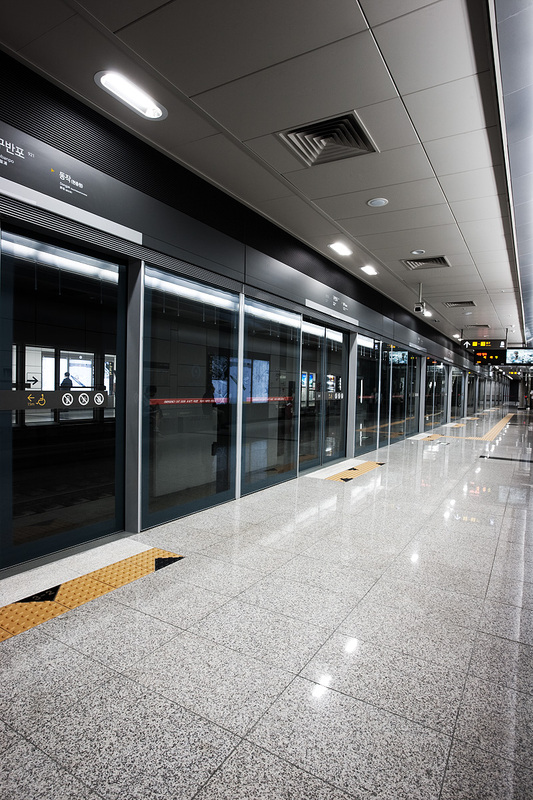 The Seoul metro runs efficiently and generally speaking, you can eat your favorite Korean meal served directly on the floor. India is, well, let's say not as efficiently run as Korea nor as clean. On the positive side, India offers the best photography opportunities on Earth. It's the low hanging fruit of the photography world, if I may. A train arrives at Gubanpo station on line number 9. Notice the lack of pushing by the elderly and elbowing to the groin by the height challenged as the train arrives in this photo. Unfortunately, as you read these sentences, chances are high that I'm being thrown aside by a husky Indian woman trying to buy a ticket at the long distance train station in Delhi. Even with the filth and headaches typically found in India, I return month after month because the photography opportunities are limitless! I kid though. More often than not, once out of the major cities, people in India are kinder than those found generally in the "non-developing" world. Tomorrow's photo will be the last real-time South Korea photo. The tradition must end because my fast internet connection is gone along with my comfortable desk and home-like surroundings. However, I'm going to try to keep the next set of photos as real time (India) as possible. I'll have to revert to my original workflow of preparing 2 weeks of photos at a time but I'll skew heavily to the Indian side. Thanks Korea for a meat-filled stay! I'll be back soon! Hi! Can I use your photo to make a silly zombie poster for an event in Seoul? Let me know.